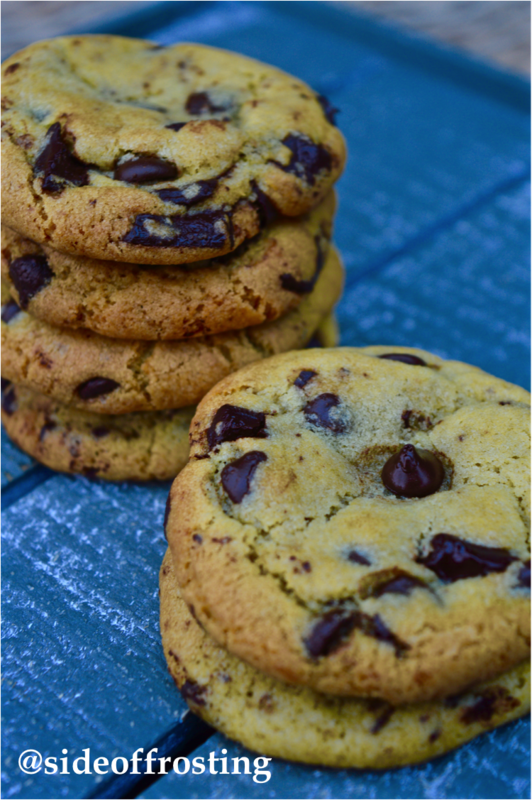 All hail the chocolate chunk cookie! I love baking cookies and not just because they are the best snack known to mankind… they’re easy, require no decorating; make the house smell amazing; and taste fantastic even before cooking (not that I condone eating raw cookie dough from the bowl!). Ok maybe the last one isn’t for everybody, but in my household it’s a must! I understand everyone is different. Some prefer cookies that are hard, soft, crunchy or chewy. I always make mine soft baked (it’s just a preference) so all my recipes will be soft baked. If you’re not in to soft cookies you can still use the recipes, just bake for a little bit longer.